Looks neat doesn't it? A USB controller shaped like a GameCube controller! Should be a good controller for playing GameCube games in Dolphin right? It is not. Many many problems have been posted here and on the issue tracker regarding these controllers. They all share a common theme: they don't work right! Here's what we know. There is no website of any form available for support. Everyone who buys one is essentially on their own. You get the disc that comes with it, and that's it! There is no way to get support and no way to contact retrolink. According to numerous reports (see sources below), the analog L and R buttons do not work. A user disassembled theirs and believed they saw analog sliders, however there was no way to set up analog. The problem is confirmed for Windows from the various reports about it here, and thanks to our macOS users, we know that the triggers show up as regular old buttons on macOS as well. Of course, there is the possibility that the hardware IS analog and there is some some sort of setup issue. However, since there is no website and no instructions, all we have to go on is user experience, and so far there is no evidence of anyone achieving working analog triggers on a Retrolink GameCube Controller. And remember guys, always post your GCpad or Emulated Wiimote window when making a controller issue! The only reason we know it happens on macOS was because our macOS users did that. There are several reports about this, but Aesop3 summed it up very nicely in the most informative retrolink post we have. Note that they are a macOS user. 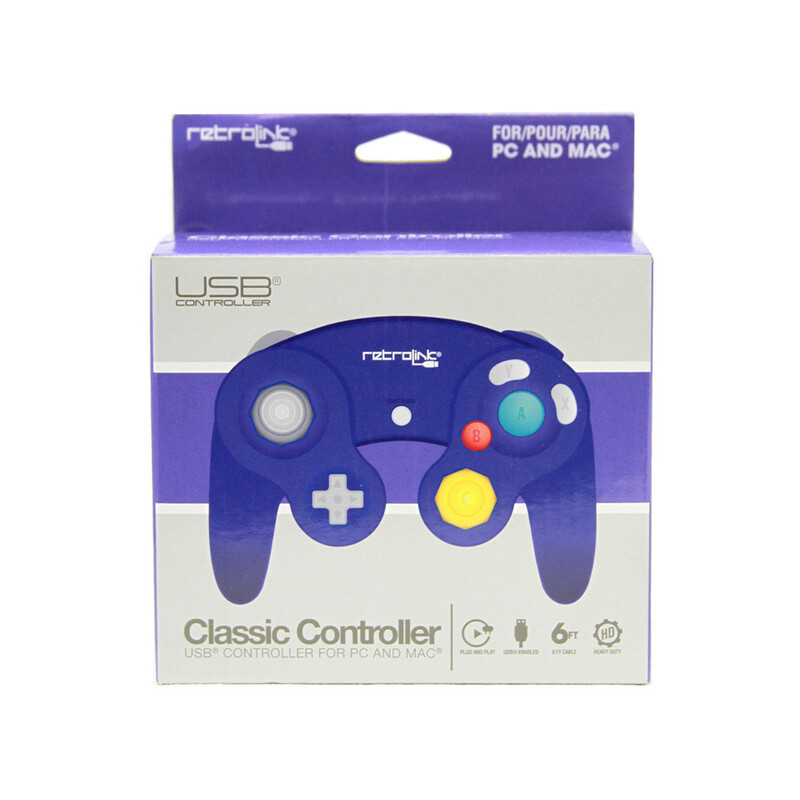 Aesop3 Wrote: So I ordered a RetroLink classic USB gamecube controller from ThinkGeek and I immediately ran into a few issues that seem to pertain to the functionality of the C-Stick. After mapping my controller, it became apparent that whatever dolphin detected as my left and right inputs for the C-Stick serve no functional purpose. However, the most inconvenient part is that left and right inputs on the Main Stick also move the c-stick slightly horizontally; enough for my games to recognize it as c-stick inputs. For example, in SSBM, moving left/right in the air sometimes cause me to perform left/right ariel attacks, as if i had used the C-Stick to perform them. Needless to say, this is a very irritating problem, and if you have a solution or anything I should try, please let me know. It is also worth noting that left on the D-pad registers as down/right on the c-stick. Other users have confirmed it as well (see sources). Unfortunately, the windows posters have not given enough information to know if this occurs on all operating systems or if it's just a macOS defect. ALWAYS show your GCpad or Emulated Wiimote configuration windows when posting issues about controllers! The information we have is just not enough to know if this occurs on windows or not. May not work without explanation! There are a ton of reports of the controller just... not working. A user was able to get it to work by reinstalling, but usually the problem just goes unresolved. Information on this is kind of sketchy, but the fact that several users have posted that the controller sometimes just doesn't work period is very alarming. And thanks to the aforementioned lack of a website or a way to contact retrolink... we have no idea what's going on. A lot more testing is needed to really narrow down exactly what is going on, but from the many many reports, it's clear that these controllers are a poor choice. To put it simply, do not purchase Retrolink GameCube Controllers! 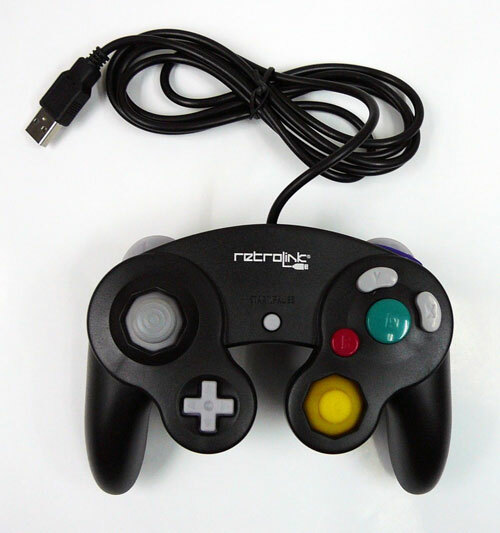 Our Recommended Accessories page has a genuine Nintendo GameCube controller and an adapter. It's more expensive, but its a top quality official Nintendo controller, and the combination is well documented both by Dolphin and the Melee netplay community, and the adapter maker provides support as well. Otherwise, there's always the trusty Xbox 360 Controller. Or a DualShock3 or a DualShock4 with the SCP Drivers. There are a lot of great options out there for high quality controls! They may be more expensive than a cheap USB controller, but it's worth it. Feel free to post questions or information about the Retrolink controllers to this thread. Great info, and a much needed pinned topic. May want to consider one for mayflash being the drivers and the L/R common issues ( all fixable ). Ok, got my Retrolink controller in the mail, and it works absolutely perfectly for me, I could take the time to make a video if it would clear away any skepticism. I can't say any Mac users might have a problem, but it works perfect for me. The buttons, and joystick feel nice almost like a real GC controller. I'm thinking the reason the controller hasn't worked for anyone else is the installation disc the controller came with. I did not use it at all, so I would recommend anyone else who buys it to do the same. I just plugged it in, let it install the driver from the controller NOT THE DISC, then opened dolphin, and set the controls like normal. Highly recommended to Windows users. R and L analog triggers. Are there any games that require them, or just games that you halfway use them like Mario Sunshine, and Luigis Mansion?